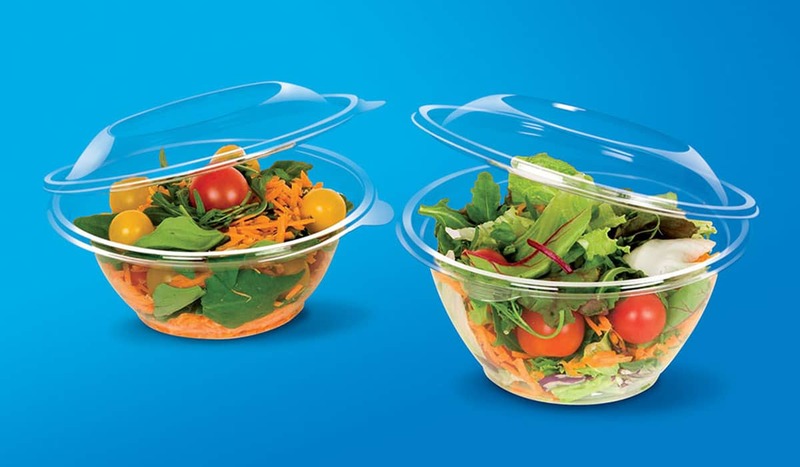 High quality clear PET round salad bowls with dome hinged lids. Smooth plain walls. Without any strengthen ribs. Leak proof. Available in 3 different sizes.